Tips from expats on how to settle in Tallinn. We hope you’ve enjoyed your visit to Tallinn - we think it’s a charming city full of surprises and excitement, and we hope you agree. If you’ve had a good time as a visitor here, whether you came on a business trip, or as a tourist, maybe you ought to consider living and working in the Estonian capital, where doing business is simple and efficient. It’s easy to get to work here in Tallinn, and there are many organisations ready and waiting to help you, like Welcoming Program. Welcoming Programme is a state provided and free of charge national programme, designed to make it easy as possible for newly arrived foreigners to join in with Estonian life, and to get used to the business, study and leisure culture. 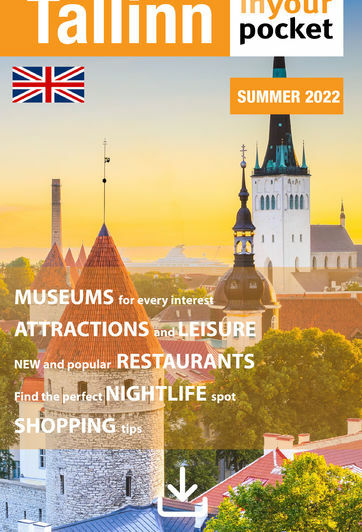 Participating in the programme will give you a wealth of information on everyday life in Estonia, plus how to study at university, how to get lessons in the Estonian language, and much more. There’s plenty of additional information on online resources about life in Tallinn. One of the best places to go is good old Facebook - the social network is still a great way to find out about places and events, wherever you are. One of the more informative groups is Expats in Tallinn/Estonia, which carries hints and tips on everything. Be warned: although the group is, shall we say, enthusiastically moderated, you may get the occasional spiky response to a standard query. Don’t let it put you off - this is a mine of worthwhile information. There’s also the excellent independent blog Expat in Estonia. This is filled with compelling content on everything from what to do on a cold autumn day, right through to the thorny question of how to find housing in Estonia if you’re coming into the country. For serious business queries and help finding work, the Expat Jobs in Tallinn Facebook group is ideal, given that it’s where recruiters regularly post advertisements, and it’s also a place where jobseekers can be sure hundreds, sometimes thousands, of people will see their posts. Also operating in Tallinn and helping people settling in Estonia with the administrative workload, and all other matters related to adaptation, is Expat Relocation Estonia, which offers a wide range of services for those who have relocated, or are about to relocate. It’s staffed by Estonians who have a strong corporate background, and is worth a look. The International House of Estonia is a one-stop-shop for internationals in Estonia. The Centre facilitates communication with the state, provides counselling and aims to help create a network. The services provided are aimed at internationals (mainly specialists) who have come to Estonia to work or to study, but there are also services for families and companies looking to hire international talent. Everyone needs to let their hair down from time to time, and the CS Tallinn Facebook group, linked to the global Couchsurfing network, always has a meeting or event in a restaurant or bar that you can attend, even if you’re not a member of the parent site. The International Table, happening weekly at cafes and bars across Tallinn, is a get-to-know-you event organised by youth and student leadership organisation AIESEC in Estonia, but you will find that everyone is welcome. Finally, InterNations is a long-established international community for expats, and it holds monthly meetings at which there is often a high concentration of IT and startup employees, but where you can doubtless find someone who has something in common with your own experiences. You’ve probably got lots of questions about what it’s like to live in Tallinn. Nothing ever stands still in this compact capital, but online, there’s also all the assistance you could need in getting to grips with life in this corner of Europe. Start with Welcoming Program, and remember, whatever you need to know, there’s a one-stop resource to which you can reach out for answers.